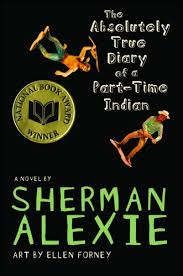 I can’t remember the last time I rooted for a character the way I rooted for Arnold ‘Junior’ Spirit, the fourteen-year-old narrator of Sherman Alexie’s YA novel, The Absolutely True Story of a Part-Time Indian. His father is an alcoholic who often disappears on benders. His mother is slighty flakey, but also super smart. Junior is perfectly aware of the limitations that come from being an Indian on the rez. …we reservation Indians don’t get to realize our dreams. We don’t get those chances. Or choices. We’re just poor. That’s all we are. Strangely, none of this seems like whining coming from Junior’s mouth. It is what it is and he’s found ways to cope. For one thing, his best friend, Rowdy, is the toughest kid on the reservation. For another thing, his parents are kind and loving and supportive. 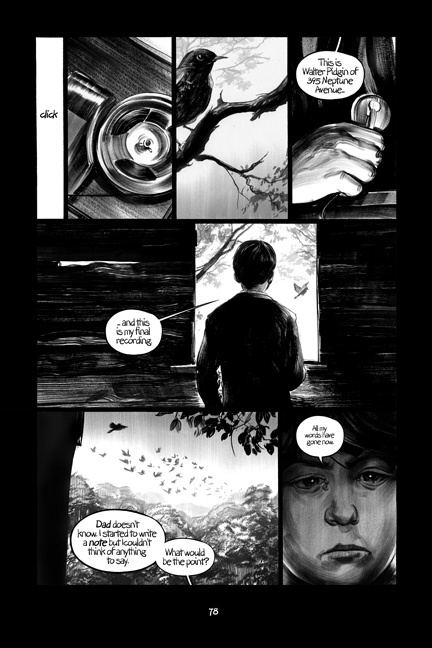 While it seems like there are too many obstacles in Junior’s way, the reader soon learns not to underestimate him. An incident at school prompts a visit from one of his teachers and suddenly Junior has left the rez and is traveling 23 miles into a town to attend a white school where he has the chance to make something of himself. (But not without a lot of soul-searching about what it means to have to leave the rez behind and enter the white world.) But make something of himself, he does. I can’t imagine anyone reading this book and not getting a little va-klempt at Junior’s journey. The back cover of my edition of The Absolutely True Story of a Part-Time Indian says that the novel is inspired by Sherman Alexie’s own experiences growing up. The book has won numerous awards including the National Book Award. It’s most deserving of the praise. This is a laugh-out-loud, tear-in-your-eye, 100% uplifting novel about the challenges of growing up and making your own way in the world. Everyone should read it. It’s pretty much a rite of passage that every teenager reads To Kill a Mockingbird at some point during their high school career. 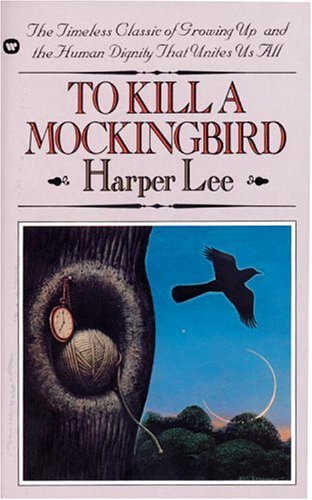 Published in 1960, Harper Lee’s only book won the Pulitzer Prize and was made into a movie starring Gregory Peck. I love the book , but even I can see how today’s teens might struggle with it. In case you’ve been living under a rock, To Kill a Mockingbird is the story of Jean Louise (Scout) and Jem Finch and their father, Atticus, a small-town lawyer. Narrated by Scout, the story takes place in Maycomb, Alabama in 1935. Although the action of the story takes place when Scout and her brother are children, the story is narrated from an adult’s vantage point which is how Scout is able to make some very worldly observations about society, childhood, prejudice and evil – all of which are themes in the book. It’s an English teacher’s dream book, but it’s not without its problems – especially when you teach a generation of students who mostly read about sparkly vampires and cuddly werewolves. Still, I think it’s worthwhile. 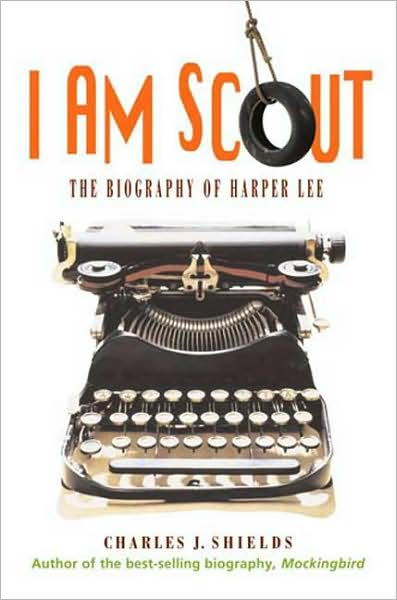 I started reading I Am Scout, Charles J. Shield’s student-friendly autobiography of Harper Lee ( adapted by Shields from his book, Mockingbird: A Portrait of Harper Lee) just before my students and I began our discussion of To Kill a Mockingbird. Even though I have probably read To Kill a Mockingbird a half dozen times or more, I’d never read anything about Lee’s life and I was interested. Shields also tells how Lee helped Truman Capote research (and some say write) In Cold Blood, easily considered one of the quintessential pieces of true-crime writing of the last century. The relationship between Lee and Capote lasted thoughout their lives, but was not without its trials; Capote was, perhaps, jealous of Lee’s success – even though he was certainly no slouch. She reportedly had every intention of writing many novels, but never could have imagined the success To Kill a Mockingbird would enjoy. She became overwhelmed. Every waking hour seemed devoted to the promotion and publicity surrounding the book. Time passed, she said, and she retreated from the spotlight. She claimed to be inherently shy and was never comfortable with too much attention. Fame had never meant anything to her, and she was not prepared for what To Kill a Mockingbird achieved. I felt after reading Shields’ biography that the reason Lee never wrote another novel was because this was the only story she had to tell. But that’s okay – if you only have one, it may as well be the one that wins the Pulitzer. 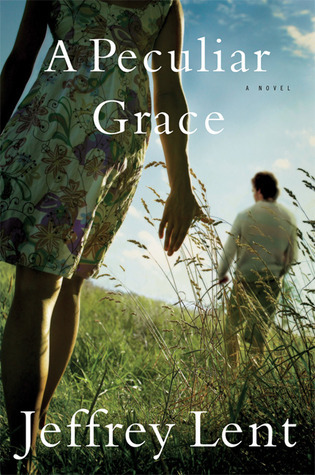 It took me forever to finish Jeffrey Lent’s highly praised novel A Peculiar Grace. Forever. Just under 400 pages, it felt twice as long because Lent’s prose is just shy of purple and nothing happens. Nothing. Well, okay, that’s not exactly true. Stuff happens. There are complications. Hewitt’s still hung up on Emily, a girl he met and loved many years ago. She’d married someone else and Hewitt has worshipped and brooded from afar ever since. There are also some family skeletons including a famous painter father, and an older sister Hewitt’s on the outs with. Then Emily’s husband dies and Hewitt decides it’s time to make his feelings known to her once more, but really – can these two crazy middle-aged kids overcome their past and make it? And what about Jessica? I kept reading. I don’t know why. When Hewitt’s mother, sister and niece arrived for a visit and these family members started talking to each other it was bizarre. People don’t actually talk to each other like this, do they? By the time Hewitt and Jessica (and Emily and Hewitt’s sister) finally work out their messy and strangely overwrought lives, I had reader’s fatigue. Partly it had to so with the stylistic nature of Lent’s prose – weirdly fragmented and dense – and partly it had to do with not really caring very much about any of these people. Despite the fact that my children, my daughter in particular, are over-the-top Harry Potter fans, I have only ever read the first book, Harry Potter and the Philosopher’s Stone. When my daughter was really little, say four or five, I had tried to read the book to her and I just couldn’t do it. I did end up reading it out loud to a grade nine class a couple of years ago and they loved it; so did I. That said, I wasn’t really looking forward to tackling J.K. Rowling’s massive post Potter novel, The Casual Vacancy, when it was one of last year’s book club selections. That book ended up being a really pleasant surprise, however, and proved once and for all (as if being one of the best-selling authors of all time wasn’t proof enough) that Ms. Rowling can write the hell out of a story. My book club recently met to discuss Rowling’s mystery novel The Cuckoo’s Calling, which Rowling wrote using the pseudonym, Robert Galbraith. (There’s an interesting article about her decision to do so here. ) By the time we got to the book, though, the gig was up and we already knew Rowling had penned the book. Cormoran Strike, the novel’s protagonist, is a former soldier who lost a leg below the knee to a land mine in Afghanistan. 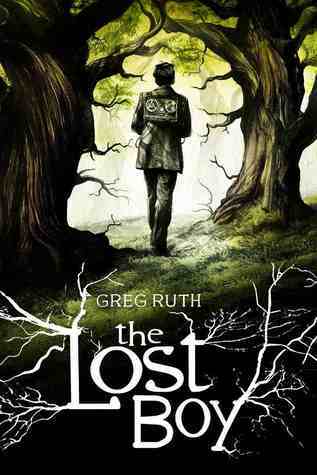 Now he lives in London where he works – although not very successfully – as a private investigator. His relationship with Charlotte has just ended badly – again. He’s broke and living in his office. And then John Bristow arrives with a case for him. Bristow is the brother of Strike’s childhood friend, Charlie, who had died when they were kids. He’s also the brother of Lula Landry, the most famous model on the planet. Landry recently committed suicide, but John believes something more sinister happened and wants Strike to investigate. Of course, it’s really impossible to say much more about the story without giving away important plot points. Suffice it to say that as far as the ‘detective’ part of the novel goes – there’s lots to keep mystery-lovers in the game. Rowling’s real strength as a writer is characterization. And as I tell the students in my writing class – character is the most important thing anyway; they are what drives your plot. The Cuckoo’s Calling is chock-a-block with characters of all sorts, the most important of which is Cormoran Strike himself. The reflection staring back at him was not handsome. Strike had the high, bulging forehead, broad nose and thick brows of a young Beethoven who had taken to boxing, an impression only heightened by the swelling and blackening eye. His thick curly hair, springy as carpet, had ensured that his many youthful nicknames had included “Pubehead.” He looked older than his thirty-five years. Although the women at book club couldn’t agree on whether we found Strike attractive or not (trying to cast him in a movie version was hysterical), we all agreed that he was super-smart and that’s always the sexiest thing anyway. Strike and his office temp, Robin (who is pretty smart herself) work their way through the list of Lula Landry associates, turning over rocks in an effort to understand the model and the world she inhabited. It makes for a pretty compelling tale. 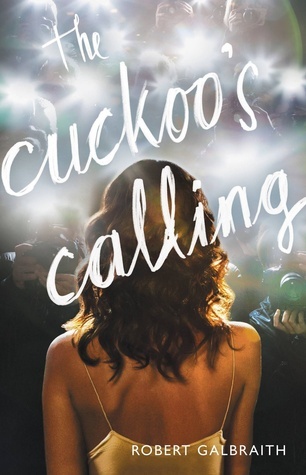 The best endorsement I can offer for The Cuckoo’s Calling is this: I bet we’ll be seeing Cormoran again and since he’s a character I can’t seem to stop thinking about, I welcome the opportunity to join him on his next case. It’s a total fluke that I am writing my review of Norma Fox Mazer’s last novel, The Missing Girl, on the anniversary of her death. 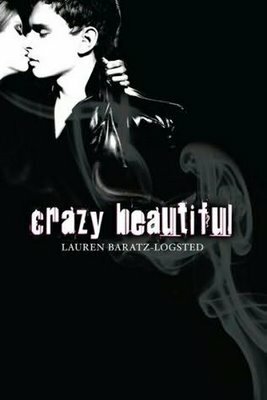 She died on October 17, 2009 and although she was a very well-known and highly regarded young adult novelist, The Missing Girl was my introduction to her writing. In a career that spanned over 40 years, Mazer wrote over 30 books including Newbery Honor Book, After the Rain and National Book Award Finalist A Figure of Speech. The Missing Girl is the story of the five Hebert sisters: Beauty, Mim, Faithful, Fancy and Autumn. They live with their out of work father, Poppy, and slightly air-headed mother, Blossom, in Mallory, New York. Beauty, the eldest at 17, dreams of graduating high school and fleeing Mallory. The Hebert family dynamics would actually be quite enough to make The Missing Girl a compelling read, but Mazer had something else in mind. If the man is lucky, in the morning on his way to work, he sees the girls. A flock of them, like birds. Slight of build, stoop shouldered, wearing a gray coat, a gray scarf around his neck against the cold, his wire-rimmed glasses set firmly on his nose, minding his own business, he could be any man, any respectable, ordinary man. But there is nothing ordinary about this man. He is watching the sisters carefully, biding his time, waiting for the perfect moment. The reader knows it’s coming. The girls are unaware. They have their own issues and petty grievances with each other. Their lives are chaotic and slightly ramshackle. What struck me about The Missing Girl was the quality of the prose and the very authentic voices of the characters. Employing first, second and third person points of view, Mazer manages to create compelling lives for all the girls and without anything gratuitous makes their “admirer” a creepy predator. 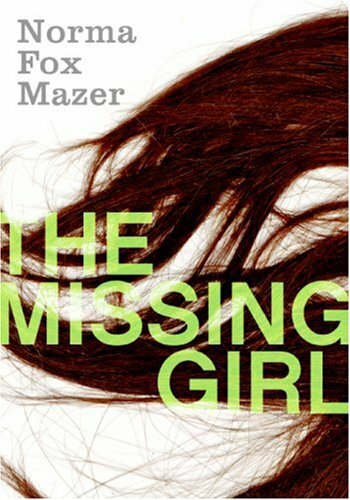 Mazer said she came to write The Missing Girl via a series of short stories about the Hebert sisters which she wrote for various anthologies. It wasn’t until she lost her daughter to cancer in 2001, though, that she settled in to write this novel. “Her death was unbearable,” Mazer said,” “but of course I bear it. I must. Yet below the surface of my life, her loss remains unbearable and will always remain so.